SEGA has announced that they will be closing their young SEGA Racing Studio without further notice. The studio’s only release came in the form of SEGA Rally Revo, which saw better than average reviews, and less than average sales. SEGA’s comment on the closing follows what you would expect a company to say, that the studio just wasn’t going to turn a profit quick enough so it got the big old axe. This is really a shame in my eyes, especially in this day of huge mega-development houses ruling the roost. The studio, which is located in the UK, opened in 2005 and didn’t even make it to its three year anniversary before its closure. Such a waste. Unfortunately, this might spell the end of the SEGA Rally series, as it was said that SEGA Rally Revo would need to do mighty well in order to see a series sequel. 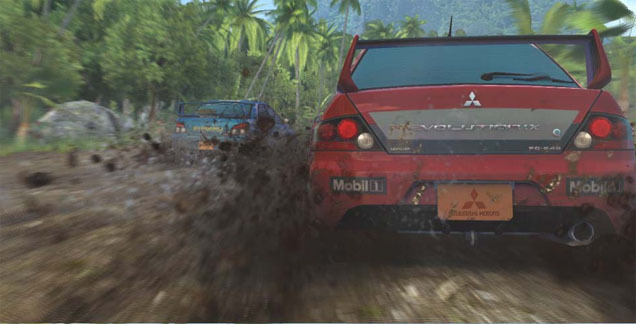 In this blogger’s opinion, SEGA needs to release a direct remake of the original SEGA Rally Championship to Xbox LIVE Arcade and let people get addicted to that title all over again. As soon as any other news on this closure lands we’ll be sure to update you, but until then go warm up your SEGA Saturn for a round of intense rally racing, I’ll see you out there.